The Niello Buy Center in Sacramento, Calif., finds used vehicles at a lower price than they would cost at auction, and the unit pays for itself. 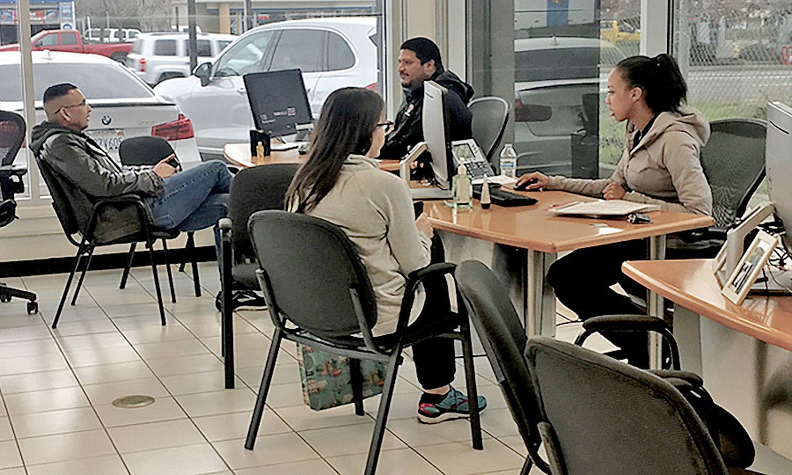 The Niello Buy Center in Sacramento, Calif., has a single-minded focus: Buy used vehicles, and do nothing else, said David Long, vice president of operations for Niello Co., a dealership group with 14 rooftops. The standalone Niello Buy Center opened a little over six months ago, transforming a body shop reception office into a "revenue-generating buy center," Long said. Since the low-production years of 2008 and 2009, dealers and consumers have faced a shortage of used vehicles — and at a time when more retailers are counting on used vehicles to make up for margin compression in the new-vehicle business. Long came up with the concept in the wake of the Great Recession, started a consulting business to spread the word and now is building up Niello's capacity for snapping up used-car inventory. "If [the offer] was within reason for you, we would invite you in for a final inspection, and you would be in and out within 60 minutes," Long said, calling the streamlined process "Apple-esque." Once the transaction is complete, the buy center gets the seller a ride home, if needed. The beauty of it, Long says, is that he can purchase the vehicle he wants — and at a better price. "I can strategically go in and find cars that wouldn't be at auction," he said. "Those would be low market-day supply, high-demand vehicles that if you were going to buy at auction, even if they were there, you could never touch at the right cost to market." Employees make offers on used vehicles, then bring in the sellers. Consider a four-wheel-drive SUV, such as a Chevrolet Tahoe. Instead of paying a premium price at an auction, Long is able to purchase the vehicle at a lower price, thus creating more profit potential. "It's a much better strategy than overpaying for a truck," he said. Once vehicles are purchased at the buy center, most are doled out to Niello dealerships, Long said. The rest head to an auction. "The buy center is fully self-supporting through wholesale contribution," Long said. "Meaning, 10 percent of the cars that are bought are sold at auction and generate enough wholesale profit to pay all salaries at the buy center." And while the buy center has become an alternative to auctions, Long hasn't ruled them out completely. "I still buy auction cars as a supplement," Long said. "But the buy center strategy is a way that I can do three things: find cars that I can't find at auction, meet people that I would never meet otherwise and generate revenue that I couldn't get from any other source." In fact, it was Long's experience buying vehicles at auction that inspired the idea. About eight years ago, Long had an epiphany: Auctions might not be the best place to buy vehicles — especially with 300 rivals at the same site. "I committed myself to finding a better way to source and buy inventory," he said. After a year of preparation, Long launched his first buy center. At that point, he was the used-vehicle director at Del Grande Dealer Group in the Bay Area. He has now opened 56 across the U.S., Europe and South America, including through his consulting firm. "The best buy center in the world that I've set up generated 2,500 units and a little over $4 million in additional company gross," Long said. At Niello, additional buy centers are on the horizon. 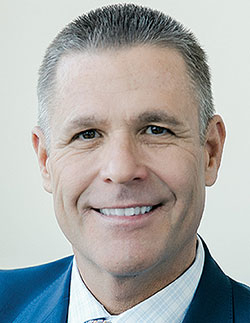 "My footprint and plan by the end of 2019 is to have three standalones, or at the very least one standalone and two tuck-ins," which are buy centers within a dealership, he said. The buy center's singular focus on purchasing vehicles is the key to success, Long said. "Now if they say, 'Hey, we love the Niello Co.; we've been buying cars from you since 1921,' of course we help them through an introduction. But we do not confuse the two ever."